Guess what? 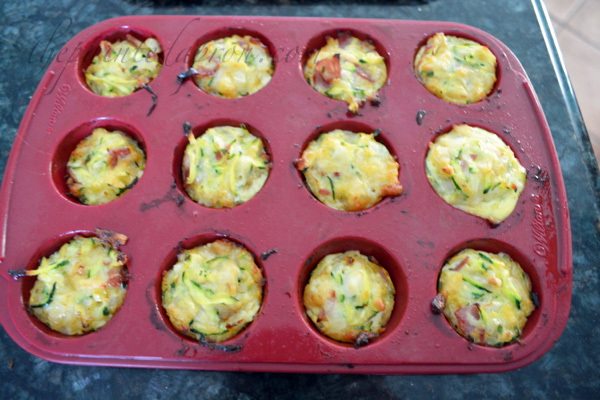 These little magic muffins are full of zucchini! 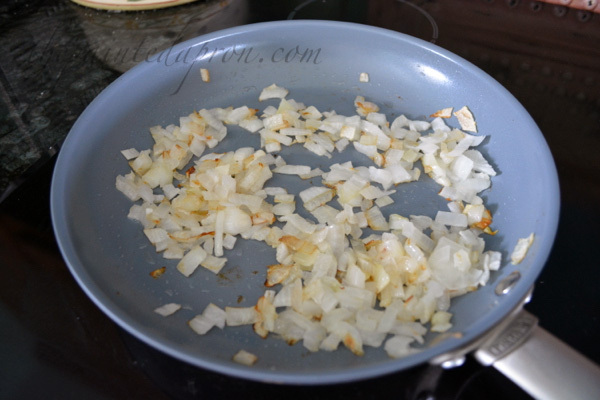 Saute onion in bacon grease or butter and olive oil, low and slow about 20 minutes. 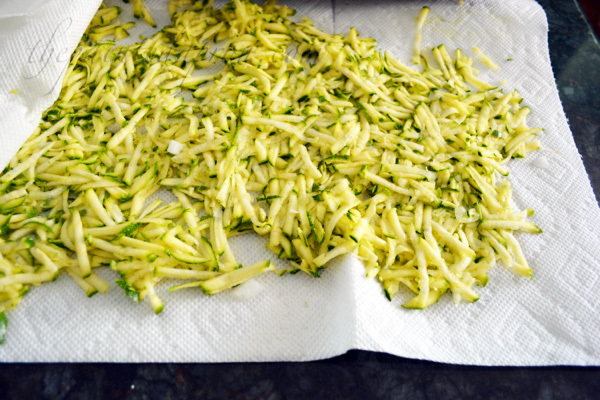 Meanwhile grate zucchini and let drain on paper towels for 10 minutes. Grate cheese. 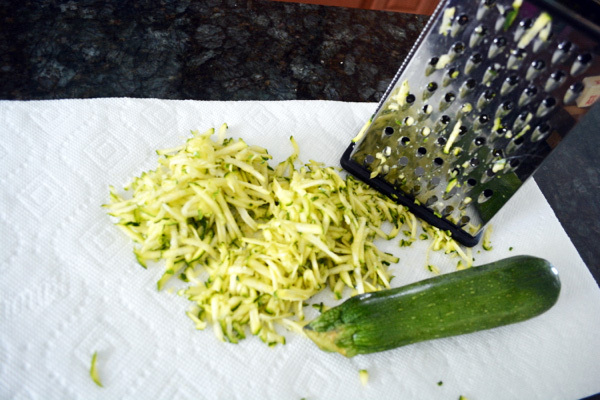 Pat zucchini as dry as possible. Place in a large mixing bowl. 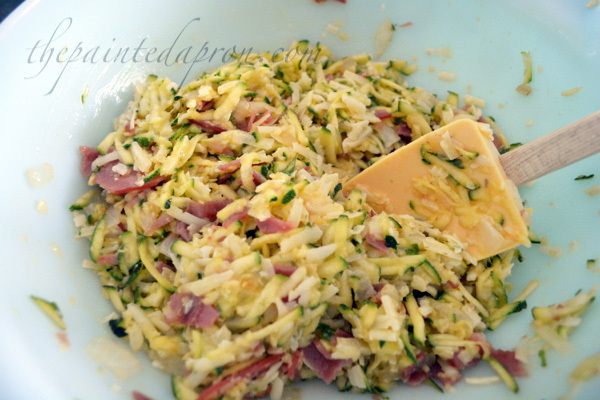 Remove onion with a slotted spoon and add to zucchini in bowl. 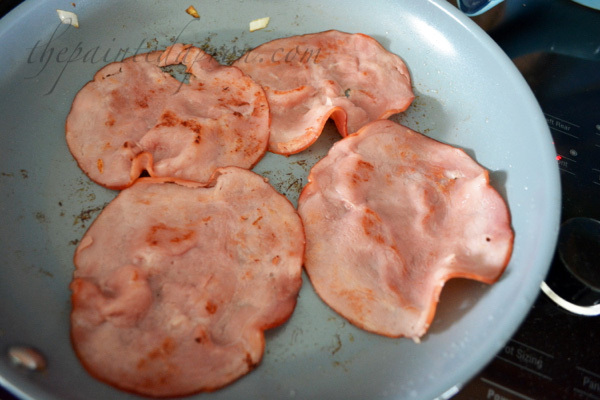 Turn burner up to medium high and quickly saute ham slices to get a little color and caramelization on them. Remove and chop into small pieces. 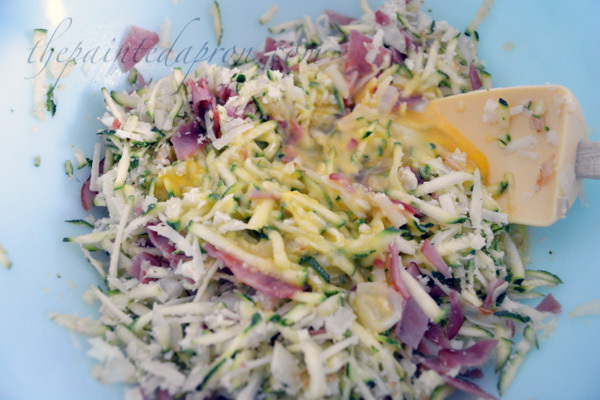 Add to bowl along with grated cheese. 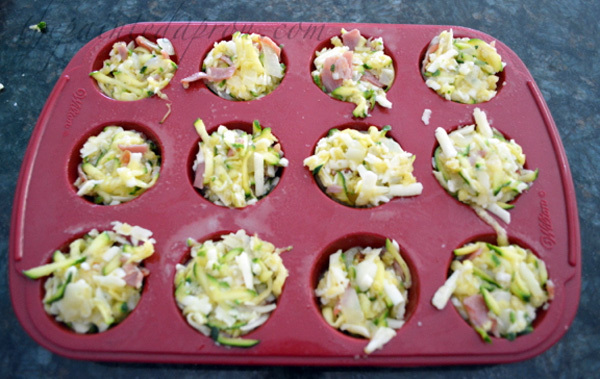 Beat eggs and add to bowl along with bread crumbs and a dash of garlic powder. Season with a little salt and pepper. Mix well. 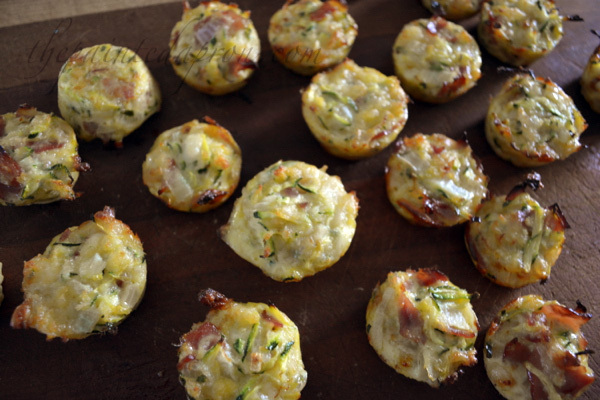 Oh my goodness, those look scrumptious! I think I’ll have them all now, think I can even smell them…ahhh! 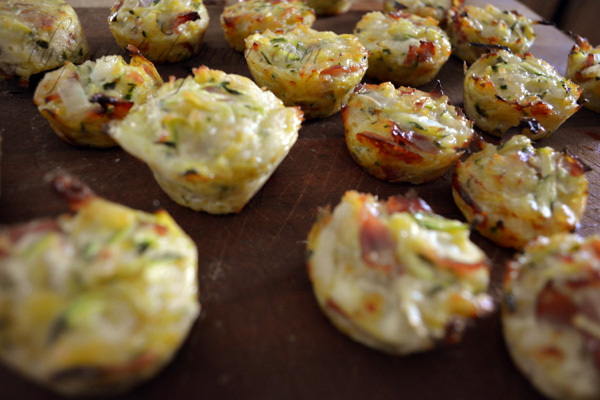 Appetizers are the hardest things for me to make, so I’m always looking for a recommendation for something that is tasty and not so hard to put together. These are like a little meal! All the food groups included. I could definitely eat them and call it dinner! These look delicious! Perfect for those busy mornings. Thank you for sharing such a great recipe. What a great recipe, it looks wonderful! Thank you so much for sharing. These sound so delicious! YUM! 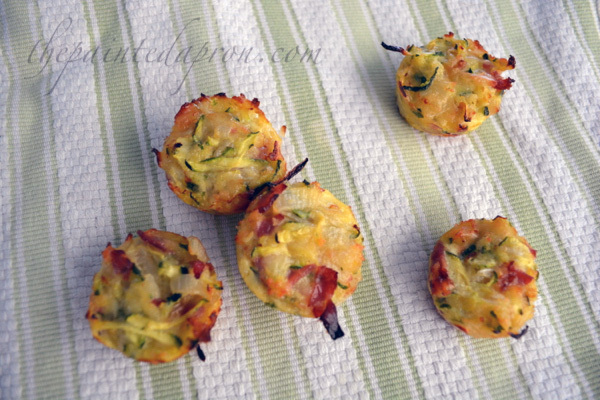 These look so good and would be so easy to overeat!! 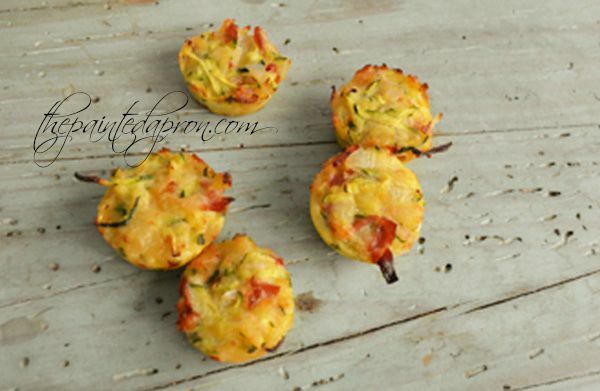 What a great way to add veggies into a meal! 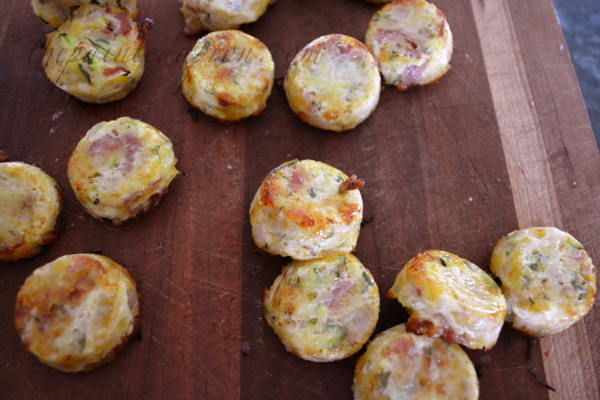 This sounds like a great breakfast item to freeze and have during the week. I have heard that those silicone trays are great for baking, but I’ve never tried them. You should get some silicone trays, they aren’t expensive and they are so easy to use, you’ll love them! 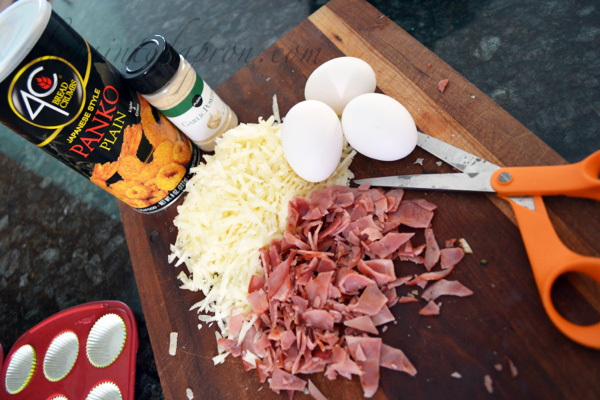 This is such a great recipe – I can’t wait to try it! I love your suggestion of freezing extras for later, too. Thanks so much for sharing at the Talented Tuesday Link Party!